Is direct democracy in Switzerland dysfunctional? Serbian elections: The path towards Europe? “Przegląd Politologiczny” (Political Science Review) is listed on INDEX COPERNICUS Journal Master List 2014. The OCV (Index Copernicus Value) for the journal is 85.57. 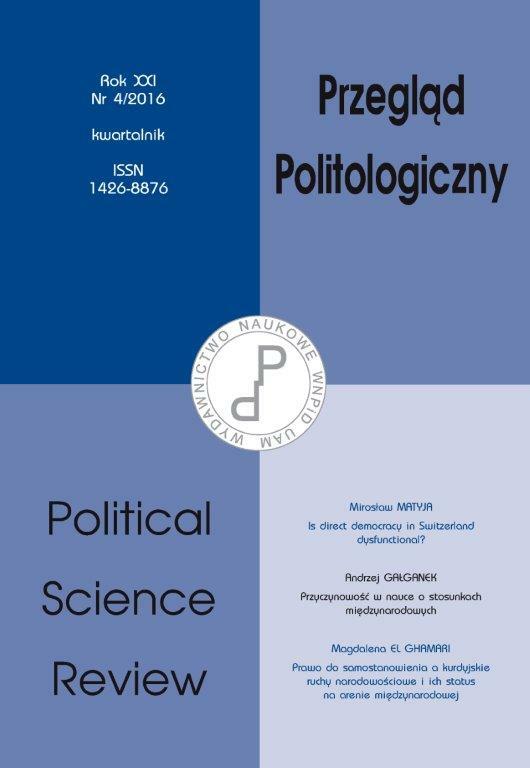 "Przegląd Politologiczny" (Political Science Review) is incuded in the CEEOL (Central and Eastern Online Library). Overview of political science uses an electronic database of texts deposit PRESSTO. Authors who want to see the statistics of downloads of articles, please visit Repository AMUR, which are deposited articles.